“For me, it was losing my grandmother.” That was the first reaction of a French-born pastor in Solana Beach upon learning Monday morning that fire was gutting the Cathedral of Notre Dame in Paris. On the second day of Holy Week, the Rev. 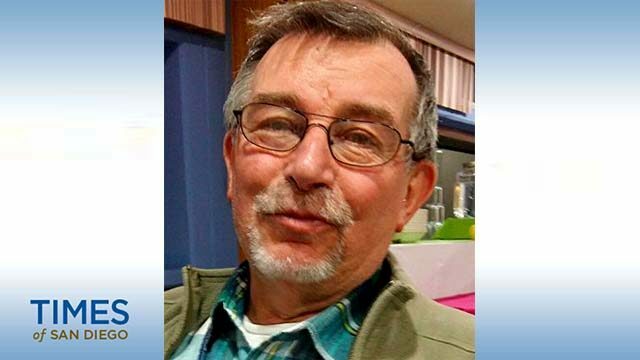 Gérard Lecomte, pastor of St. James and St. Leo Catholic Community, was checking news online when he was stunned to see that the iconic 850-year-old church was ablaze. For an hour, he was glued to French TV coverage of the tragedy in Paris, near where he studied in a seminary. He also attended Mass and organ concerts there. NBC News has reported that the cathedral is still considered structurally sound and that art work, including some 13th century rose window glass, the Treasury (where Christ’s Crown of Thorns is believed kept) and the organ have been saved. The cathedral’s Treasury has stored artifacts such as a purported piece of the cross that Jesus was crucified on and nails from the cross, sculptures and paintings, some dating to the 1600s. Statues representing the 12 apostles and four evangelists were removed from the site last week. The sound of the eight bells is recognizable to all Parisians, he said. Commenting on French President Emmanuel Macron’s announcement that the cathedral will be rebuilt, Lecomte said Paris has workers who specialize in carving stones and building walls, using techniques that date to the Middle Ages. “I am sure a lot of benefactors will help,” he added. For the French, seeing the destruction of the famous cathedral is akin to living with someone for a long time, “thinking like they would never die,” Lecomte said. The first step for the cathedral’s rector and archbishop will be to find a place for his parishioners to gather for the rest of Holy Week, possibly Les Invalides church. Cause of the blaze hasn’t been discovered yet, but Lecomte speculated that someone might have been “imprudent with electricity” during restoration that has been ongoing for a year. The restoration centered on shoring up the towering spire that burned and collapsed in the fire Monday. The blaze also touched Jack and Helen Ofield of Lemon Grove. Helen said that when they were traveling in connection with a TV series they produced (“The Short List Showcase for International Short Film”), they were in Paris twice a year from 1994 to 2008. 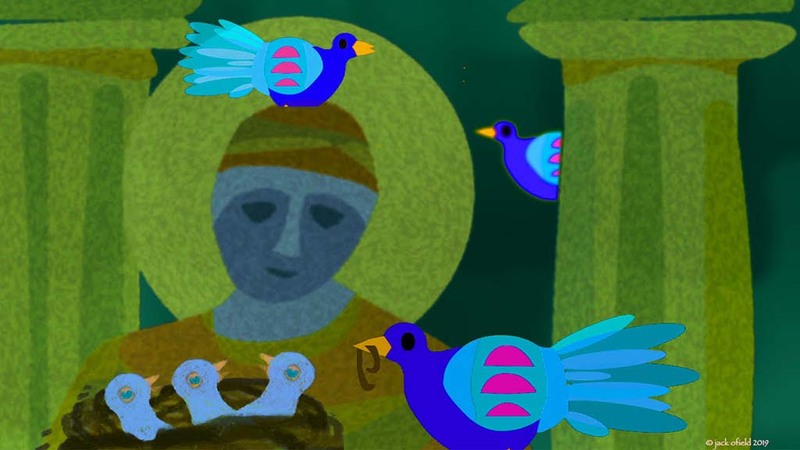 Jack Ofield drawing of the Virgin Mary (Our Lady, or Notre Dame in French) with the birds of springtime and Easter rebirth while he watched the Notre Dame fire on television. The Ofields “never failed to visit Notre Dame in all weather, at different times of day, to absorb its beauty, majesty and stunning artwork and architecture, the music, the charm and uniqueness of the adjacent Hotel Dieu (hospital), which we worry about,” Helen said. “We hope there is worldwide criticism of such disregard and that the French government will begin to underwrite some of the cost of bringing back its tourism meal ticket,” she said. Local political figures and media types also shared thoughts. Praying for the people of Paris as they try and save what remains of the Notre Dame cathedral from fire. Officials say they have 1 hr to save 800 years of sacred history.